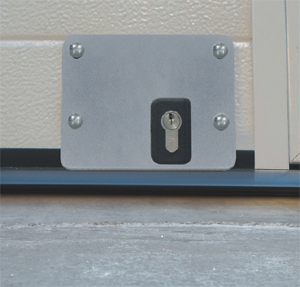 Internal 2 mm thick plate used to fix the V09 electric lock and 2 external 2 mm thick external plates, one of which has a slot for the installation of a double cylinder for external release of the lock (in the event of a power failure). 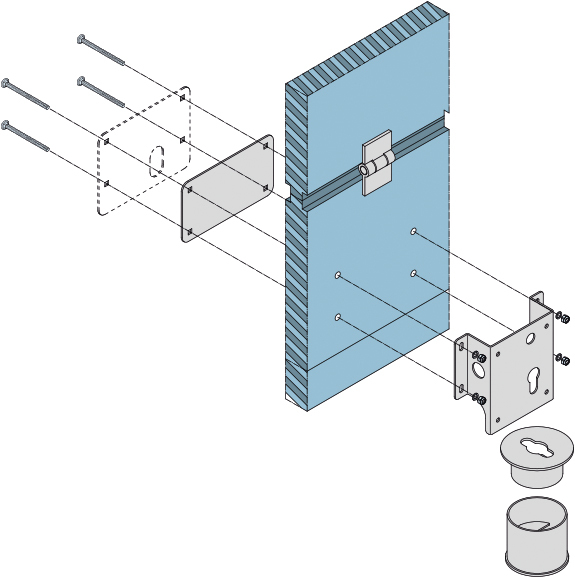 Drilling template to ensure the correct positioning of the lock support plates and of the break-in to be carried out in the floor to wall the striker plate. 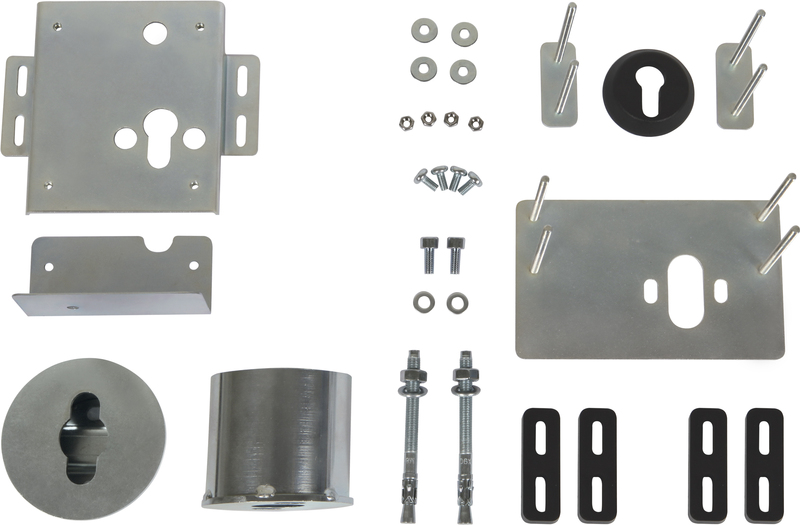 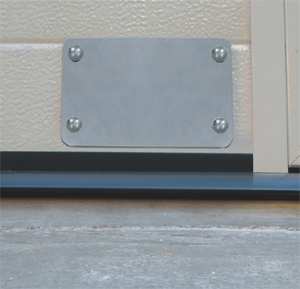 Walled-in striker plate, composed of a fixed lower part and an upper part that can be detached in order to remove any dirt, leaves or anything else that can obstruct the deadbolt slot. 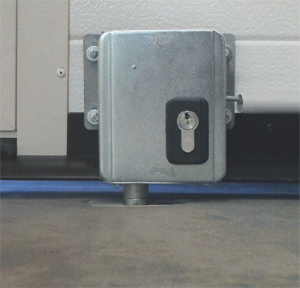 Rotating spike deadbolt and floor striker which make this installation extremely secure. 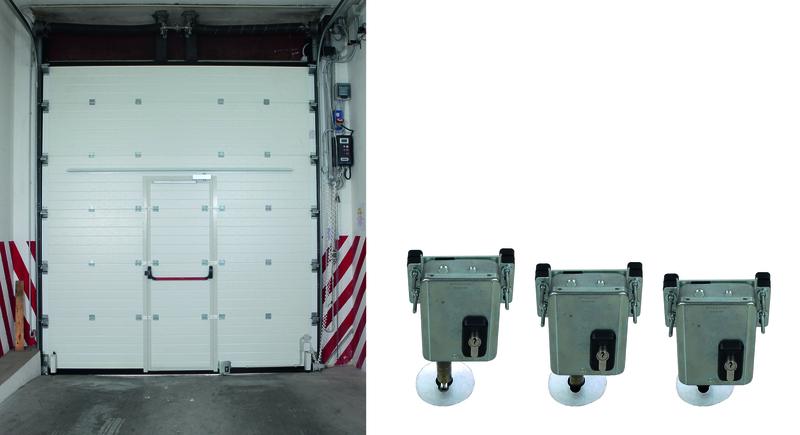 In the event a double cylinder is used, a secure one is recommended (for example Viro Palladium) that offers more effective pull-resistance than an escutcheon used on the light materials (such as PVC) used to make sectional doors.